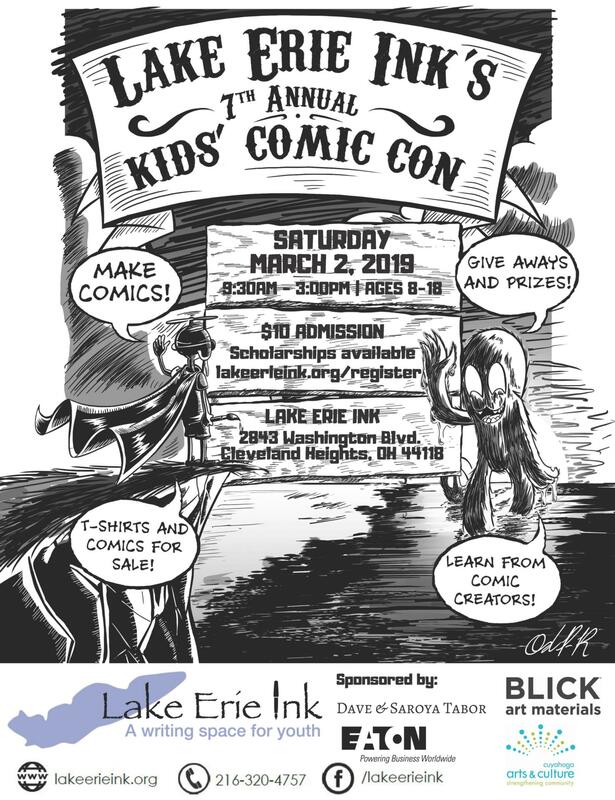 Feb. 12, 2019 -- Lake Erie Ink is hosting its seventh annual Kids' Comic Con on March 2. Local comic creators will be on hand to provide guidance and inspiration for budding writers and illustrators! The comic con will run from 9:30 a.m. to 3 p.m. and is for ages eight to 18. Admission is $10 with financial aid available. There will be t-shirts, comics and graphic novels for sale, plus door prizes and giveaways. Lake Erie Ink is located at 2843 Washington Boulevard.